This is how my notes looked in Buddhism class last year. Actually, it’s pretty much how all my class notes look. – Integra as…some kind of devil, I guess. – Brahman is described as “the adorable being in all beings.” This is certainly adorable, no? 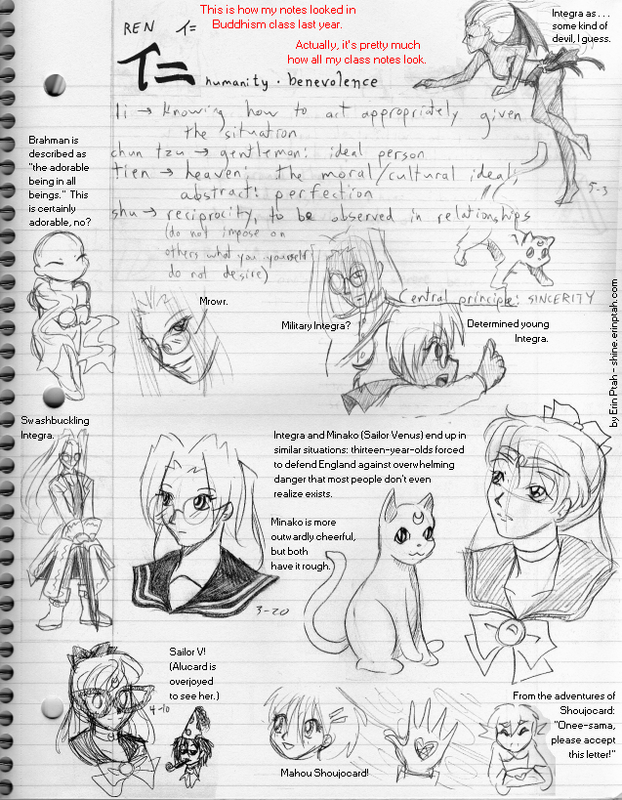 – Integra and Minako (Sailor Venus) end up in similar situations: thirteen-year-olds forced to defend England against overwhelming danger that most people don’t even realize exists. Minako is more outwardly cheerful, but both have it rough.